Brad Schrock has handled many dog bite personal injury cases. In evaluating these cases, a determination is made as to whether it is likely that a jury would ultimately determine that the dog owner is responsible. However, in many cases, the owner will be held liable. In the absence of another basis for liability, the dog owner is liable if he or she was negligent. Often this means that the owner would be negligent if, with the knowledge of a reasonable person under similar circumstances, he or she knew or should have known that the animal was potentially dangerous – or at least that it was likely to be dangerous under certain circumstances. Some dog bite cases do not actually involve “bites” at all. An example might be a big dog that gets loose and knocks down a pedestrian – or, as has happened, someone else walking their dog on a leash. Recovery tends to be good in these cases, because there is usually wounding and scarring. Many of the cases that Schrock Law Office has handled involved minors. 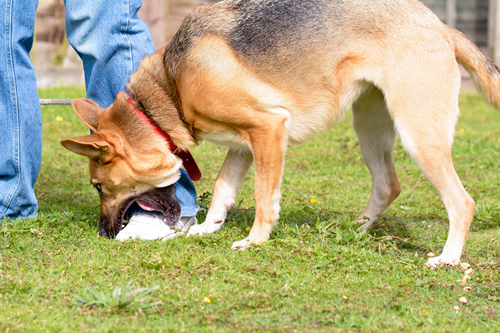 We hope that you will consider Schrock Law Office to be your trusted representative to handle your dog bite case.